So back in October of 2012, somebody (Clayton Warden? Jodi Bump? Joanna Whisenant?) suggested that a group of us sign up for the half ironman distance triathlon held in Panama City Beach in May. Of course, this was sometime around the Goosepond Half distance and Beach to Battleship Full, so I was feeling very in-shape and somewhat invincible. With the same insouciance with which I signed up for the Dizzy 50s (I've done a 140.6, how hard could a 50k be? ), I went ahead and tossed my name in for this early season 70.3. Of course, this was before I knew Mother Nature was planning a very cold, rainy winter that would stretch into April, and thus opportunities for long training rides would be non-existant. Not to mention that Heel and Crank would get moved up, that Lake Guntersville Olympic would end up scheduled for the week before, and that the local Frank Maples would be sandwiched between those two. So much for long training runs as well! So I left for Panama City Beach on Thursday fatigued from three triathlons in a row and woefully unprepared for a long event. But hey, after the frigid rain-fest of Lake Guntersville, how bad could it be? On Friday the other members of our local triathlete group (Parker Edmiston, Rick Grief, Clayton Warden, Tonya Hardy, Dave Patterson, Marien Amerigo, Joanna Whisenant, Brenda McGovern, and Melissa Johnson) rode their bikes over to the staging area and did a quick practice swim and a run as well. Yours truly slept in, lounged in the condo, met the rest of them in time for the pancake breakfast, then went back to the condo and slept for 2 more hours. Then I sat on the balcony and looked for sharks while some of the others laid out on the beach, but luckily I saw only dolphins. 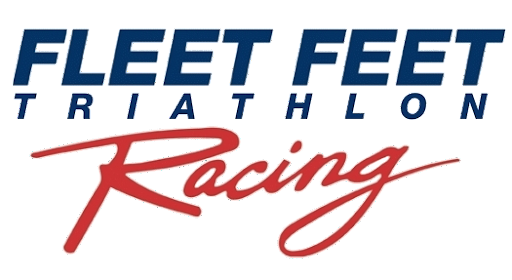 We went over to packet pickup and racked our bikes, checked out the Expo (nothing that we couldn't get at a better price at Fleet Feet Huntsville), and went to Mellow Mushroom for the night-before-the-race carbo loading. Yes, we all know that carbo loading the night before the race is too late from a biophysical standpoint, but gosh darnit why let science get in the way of good fun? The weather was -of course - calling for rain. Now, I had quite emphatically and publicly stated that I was NOT starting the race unless it was 60 degrees and sunny. Naturally, race morning dawned nice and sunny, ruining my plan of staying at the condo for yet another day of sleeping and eating. So I got into my "race zone" and got that excited, pumped feeling I usually get before any event. The women were being sent off before the men for once, so I was in the second wave going into the ocean. This was my first time doing a true "ocean swim" (Beach to Battleship was in a salt water channel) and I had visions of sprinting into the waves like a real triathlete. I'm glad no one was filming that part, but eventually I was past the breakers and I have to say, I really loved the ocean swim. Yes, there were jellyfish, but they were mostly beneath us and I didn't hear of anyone getting stung. I did see some fish too - I was surprised by how much I could see after all these murky lake swims. And I enjoyed stroking through the undulations of the waves, it was a cool sensation. The buoys weren't too hard to see for the most part, and Rick Grief had given us really good advice to sight on the tall condominium tower on the way back in, which worked like a charm and brought me out of the water at exactly the right place. It wasn't my fastest 1.2 mile swim ever, but it was a lot easier than I thought it would be. Since I wasn't too stressed about time, I sat on a bench on the way into transition to get out of my wetsuit. I really think benches should be placed at all transition entrances. It was a lot easier than the standing jig I usually do to get out of my wetsuit. But I digress. Onto the bike, with the sun still shining and the wind not very strong for a beach race. It was great. I was hammering with almost no effort, amazed at how easy it all seemed. That lasted for about 20 miles...the length of most of my training rides. We made a left turn into an out and back section and all of a sudden the sun went behind a cloud, the wind picked up, and the sky started to threaten rain. Yikes! Meanwhile, I was getting passed by the men who had gone into the water at least 20 minutes behind me but had now caught up and were blowing by me on their bikes like I was on a banana seat with streamers. Suddenly my feeling of strength and power evaporated, and it started to feel like work. Oh well. I was lucky in that it didn't really start to pour down rain until I was almost done with the bike. And since it was still 20 degrees warmer than it had been the week before at Lake Guntersville, I was still feeling pretty good about the weather. By the time I got to the run, I was feeling even better. The run was flat and completely without shade. If the sun had kept shining it would have been brutal. The first two miles felt like crap like they always do off the bike, but then the next 8 miles clicked by like clockwork and I was on pace to go under 5:30. Then came mile 10, when my legs informed me that my longest training run of late had been 7 miles and they were done. My right calf cramped up, my stomach rejected any attempts to take in gatorade or coke or anything that might have helped with the cramping, and I had to walk a bit to avoid a Charley horse. Even when I got running again, it was a sad gimpy sort of jog. TWO - count em - TWO women in my age group passed me in the final 2 miles, and I couldn't do a thing about it but get frustrated. Errg. I'm still mad about it sitting here at the computer 36 hours later. But alas - if you don't put in the time, you don't get the results. And I had been training shorter and faster, so I shouldn't be surprised I bonked out. Still, I was happy with my 5:37 all things considered. I ended up 10th in my age group (grumble, grumble) which thanks to an incredibly generous awards system, got me some sort of something that Rick Grief picked up for me at the awards dinner (and I have yet to see). Rick Grief totally rocked it, and got 5th in his age group. Clayton Warden had a really good first 70.3, as did Dave Patterson and Tonya Hardy. Joanna and Marien finished strong in the rain, keeping it together even when it started to thunder a bit. Brenda laid down a smoking fast half marathon as the third leg of a relay, following Melissa Johnson who PRed with her fastest 56 mile bike leg only a week after doing the Florida Rocketman 70.3. It was a fun weekend with good friends and great athletes. We have a lot of people in the Huntsville area who do us proud at races all over the globe, and this was no exception. I am always inspired and uplifted by going to these races, no matter what the outcome personally. So what's next, tri peeps? Details: 1500m swim, 24 mile bike and 6.2 mile run. Things were looking miserable from the start at about 43 degrees and 10-15 mph winds. The water was already choppy and getting worse. Trying to set up transition in these conditions was something that I had not encountered before, as all of my previous races met the standard definition of “blue bird day”. This day however was closer to a snow goose. SWIM - Once things begin to get started and I walked down to the beach to enjoy the warming effect of 63-degree water my feet almost went numb getting through the puddling rainwater. Fortunately, standing knee deep in the lake water brought them back to life, and I waited patiently for the 2nd wave. Finally my turn to walk back through the ice puddles and then onto the metal dock to for the wave start. The swim got going and went pretty well. Thankfully, I have become more comfortable with bilateral breathing, otherwise breathing on the right during the outside loop of the swim only got you a mouthful of lake water due to the windy chop of beautiful Lake Guntersville. First wet suit swim for me and I appreciate the strippers, however the Garmin 910xt was not cooperating with my wet suit sleeve. Fortunately Gregg Gelmis wasn’t there to document the racer that was being attacked by the wetsuit sleeve. T1 - …longest transition ever. Try getting arm warmers, leg warmers, winter gloves, skull cap plus all the usual “slips, trips and falls” of transition while it’s raining cold misery. T2 - Made it back into transition (safely) and headed out onto the run. Definitely took a little longer to shed the soaked leg warmers and gloves. I had biked sockless and decided to put on socks thinking it might help feet warm up. My Gore jacket must’ve weighted 10-12 pounds, but when I went to take it off my body hit hypothermic madness, and I decided to go ahead and run with it, despite the extra weight. RUN - Shout out to the volunteers on the run course, they were soaked to the bone and still lots of encouraging words to all the runners. Couldn’t feel my feet as the run started. Funny thing was about a mile into the course, I thought I felt something in my shoe. I couldn’t imagine what would have been in my shoe, but it began to feel like a gel pack moving around under my foot. I decided to stop and took off my shoe only to find nothing there but my toes. I guess it was just the feeling of blood returning to my feet. The run course was brutal with the broken pavement and active rainwater erosion making for an Xterra experience. I thought it was Groundhog Day because the guy at the intersection of the gravel road kept saying, “up this hill and around the orange cone”. This “Groundhog holiday experience” was capped off by my Garmin saying 6.2 miles and still knowing it was over a half-mile to the finish line. All in all, I’m glad I made it to the finish line uninjured (minus some runner’s knee due to running in the lower drop Zoot Ovwas that I haven’t trained in all year) and can no doubt say this will hopefully be the toughest race I encounter any time soon. I’’ll take my 38th OA and 9th AG (toughest AG competition by far) for a finish time of 3:11:05. Done! I should probably wait until the freshness of the pain has worn off before writing this race report, but you always forget the pain more quickly than the pleasure (hence women have more than one baby) and I want to make sure the PAIN gets recorded. Because let's face it: the weather was PAINFUL. I am so impressed with everybody who even started today, I am totally sympathetic to all those who were forced to abandon due to circumstances beyond their control, and I am so grateful that my body managed to allow me to finish. Another day, same conditions, I might have been one of those needing assistance due to a core temperature that just couldn't stay high enough for safety. That being said, I also have more body fat than some of you hammers. Sometimes fat is a good thing. Especially around the midsection. Most of you know that the swim is my favorite part regardless, but today it was also the warmest part. And that's not saying much. I did not exactly enjoy the swim, and I wasn't really in a hurry to get to the bike, but the choppy waters were good practice for future ocean water swims. I hope. I'll admit it: I was surprised that some chick beat me out of the water, and that it wasn't Lisi Bratcher. Thank goodness she decided to come down from Nashville and race today, because knowing that she was out there on the bike made me determined to stay on the bike as well. And I needed some serious self-talk to keep going. I almost bagged it many times (every time I passed a store or assistance vehicle), I was just so frickin' cold the entire ride. But I kept thinking about all those first timers and Tri 201ers who were toughing it out, and I just decided that if I physically could keep turning the pedals I was going to keep going. Besides, even on a good day I don't love the bike, so it wasn't THAT much of a stretch. I honestly kept imagining a roaring fire to try and warm me up. It sort of worked. I was promising myself that the run would be warmer. The problem arose when I went to put on my running shoes and my fingers were too frozen to work. I couldn't slide my feet in like I usually do when dry, and untying and retying the laces took a ridiculously long time. But finally I had my running shoes on and....I might as well have tried to run in my bike shoes. My feet were so numb I felt like I was running on stubs. I thought I was just going to fall over at any minute. So I told myself that if I DID fall over, that would be it. I would let myself stop. Unfortunately, that did not happen. By the time I reached the gravel road I could feel my feet enough to stay upright there as well. I never fall down when I want to, only when I really really DON'T want to. Sigh. I never really warmed up. I wasn't AS cold during the run but I was still wet and cold. I have been told that the run was longer than 6.2 miles, and I'm just glad my fingers were too numb to put on my Garmin because I honestly might have sat down and cried at the 6.2 mile mark when I realized the finish line was still at least half a mile and one more hill away. But ignorance is bliss, or at least in this case a blessing, and I did stagger/shiver/flog myself all the way to the finish line. Thanks to the volunteers who stood out there for us, the only thing worse than racing in that weather is volunteering in that weather. At least we get a medal and bragging rights. Thank you to KatieBeth Pierson for practically dragging me into her warm car. Thank you to Mike Sparks for that crazy towel/burka thing you all saw me wearing. Thanks to everyone out there today, who made it possible for me to keep going. Triathletes - even very cold ones - are awesome!